It’s true that the French have a thing for singers in pain. But Americans aren’t really all that different. They had Jacques Brel and Edith Piaf, and Barbara and Dalida. Bonus points are given if one is so triste that they commit suicide. Which makes Britney Spears ineligible, but we Americans do have Judy Garland. Being French, naturally, Romain worships Judy Garland. And last year when Rufus Wainwright re-created Judy at Carnegie Hall at the Olympia theatre in Paris, I tagged along. During the entire show, Romain kept his eyes glued to the stage. Each word, each note, every nuance was hung on to, tears nearly welling up in his eyes. It was as if Judy herself had sprang from the dead for this one time-only event. Transfixed, he simply couldn’t believe it. Midway through the evening, Rufus paused dramatically, and announced a special guest. A moment of tense drama ensued, then the roving spotlight finally hit upon a well-coiffed woman, all decked out in a shiny blue dress and lots of gold jewelry, striding in from the wings: Lorna Luft had arrived. Perplexed, Romain asked me who she was. When I said she was Judy Garland’s other daughter, it was as if I’d told him he was holding the winning ticket to le Loto. Once he sat back down and stopped whistling and screaming (and I stopped dying of embarrassment), he asked me why he never heard of her, a question which I had trouble answering. I guess Grease 2 had never made it to France. But when Lorna sang, she belted out her song like a seasoned crooner, easily eclipsing Rufus, and I told Romain that “she showed ’em how it’s done”, which was another expression I had a little trouble explaining. But that girl’s got chops, and I’m sure her mom would be proud of her today. Fast-forward to last week. I was leaving my apartment and ran into the guardienne, who had a package for me. I was on my way out, but when I saw the return address, I went back inside, shut the door, ripped open the box, and pulled out my brand-new copy of Delicious Days, the new cookbook from Nicky Stich. I see a lot of books, but I was really excited about this one. If you know her blog, delicious:days, you know how absolutely stunning Nicky’s photos are. Like her blog, the recipes in her book are equally compelling, and the design of this book just brings it all together. Of course, Nicky did just about all of it; from snapping the photos and creating the recipes to laying out the pages. She showed ’em how it’s done. As I turned the pages, I was stunned by this really gorgeous book. There were so many recipes that looked interesting, including Schoppala, butter-fried potato dumplings (now how good do those sound…and look?) and Butter Caramels with fleur de sel. 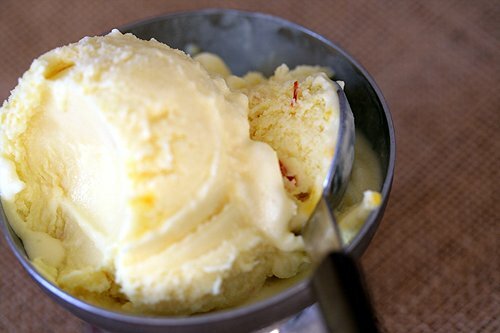 But I dialed in on the recipe for Quick Coconut Ice Cream with Saffron. Anything that has “quick” and “ice cream” in the title prompts me to get right in the kitchen. 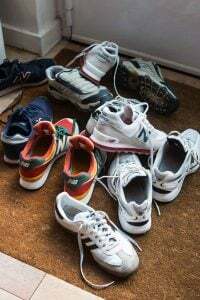 (Which, admittedly, in a two-room apartment isn’t all that far.) Having “coconut” and “saffron” in there are bonus points. I veered a bit from the recipe and used palm sugar, which is the boiled down sap from the palm tree. 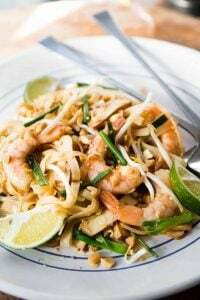 Used a lot in Asian cooking, I often swap it out with white sugar in recipes where there’s coconut or other tropical flavors, since it compliments them so nicely. Often it’s sold in solid chunks which will dissolve when heated, like this super-simple blend of coconut milk, cream, and saffron threads. Next time you’re in an Asian or Indian market, pick up a sack. And look for chunks that are quite dark, which have the most flavor. I loved this ice cream. So much so, that when I was shooting the pictures for this post, I kept licking the spoon, it was so good. Thanks Nicky, for showing us how it’s done. Judy would be proud. And I’m beaming with pride, too. 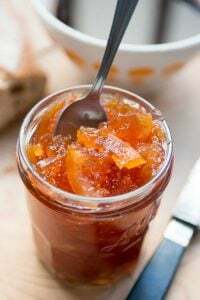 Adapted from Delicious Days by Nicole StichIf using palm sugar, crumble or grate it as best you can before using, to help it melt. This ice cream is really outstanding and if you’re wary of the saffron, don’t be. It adds an elusive flavor to this custard, which pairs especially well with the tropical taste of coconut milk. 1. In a medium-sized saucepan, bring all the ingredients to a boil. 2. Reduce the heat and simmer gently for ten minutes, stirring occasionally. Remove from heat, and chill the mixture thoroughly. 3. Once chilled, freeze in your ice cream maker according to the manufacturer’s directions. Once churned, be sure to scrape any saffron threads clinging to the dasher back in to the ice cream. Note: If you don’t have an ice cream maker, check out the post Making Ice Cream Without a Machine. You can get an inside look at Delcious Days, which is also available in German. Great post David… and I’ll have to check out this book! This looks amazing. One more book to add to the Christmas List! In fact I’ve got saffron sitting in my cabinet (the good kind and the second rate kind). Eclipsing Rufus? Aw. Really? I love Rufus. Not to mention, coconut ice cream. Nicole’s recipe (and cookbook) sound fab. Lovely review. Being Asian, of course I like coconut. 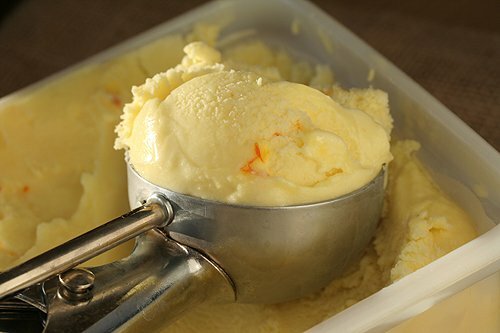 Coconut ice cream is very common, what unusual about your ice cream is the palm sugar and the use of saffron. I bet it tastes really good. I wondered where your post was going at first but then you brought all the threads together – I guess you showed us how it’s done! Looks great. I love palm sugar and buy it in large plastic jars. It’s a delicious Thai brand I use and stays relatively soft. I like to use it in more things like you say. How do you substitute it for say white sugar in ice cream? Tbsp for Tbsp (gram for gram)? Well, to be fair, Lorna Luft doesn’t really look that much like her mother, not as much as her half sister anyway, though I did get a good chuckle out of Grease 2 not making it to France. Gorgeous ice cream, David. Thanks also for the wonderful story and the review of the new cookbook. She does really have an amazing eye for food photography. Glad to know the book turned out to be lovely. Dana: Truthfully, I didn’t quite know where this post was going either! But I’m glad it led to this ice cream, which was worth the ramble. Deb: Yes, she’s a lovely photographer and designer. I am really smitten with this book and can’t wait to make some of the other things. This recipe was a real winner. e. nassar: Generally, I swap it out by weight, which I did in this recipe, and it worked beautifully. Karina: Even though Romain loved Rufus, he said his voice was “comme une patate” (like a potato), which I think means kinda flat. But he said it was better since he was “interpreting” the concert, rather than trying to re-create it. The orchestra was amazing and like Lorna, also showed us “how it’s done”, too. A post that started with Judy Garland and ended with ice cream…fantastic. This vaguely reminds me of an ice cream I sampled this past summer…my city has a festival called “Heritage Days” and there was a rose water and saffron ice cream with pistachios at the Iranian tent…sooo good. And the most vivid yellow (natural colouring, I was told). I suppose this doesn’t bear too much resemblance, but it sounds (and looks) equally delicious. Here in Hong Kong we can get fresh coconut milk from specialist shops – I used it to make a cornflour-based gelato with a little extra cream. The taste of fresh coconut milk is much grassier and fresher than canned coconut milk, it’s rich and light at the same time. I wonder if you can find it in Paris? David, as a rookie blogger stumbling all over the place, I must say, in the words of uhhh, Beavis and Butthead (maybe?) You Rock! I’ve been a lurking admirer for quite some time now, and THEN I saw you on Gourmet’s Diary of a Foodie last week, making that mouth-watering vanilla stracciatella ice cream! 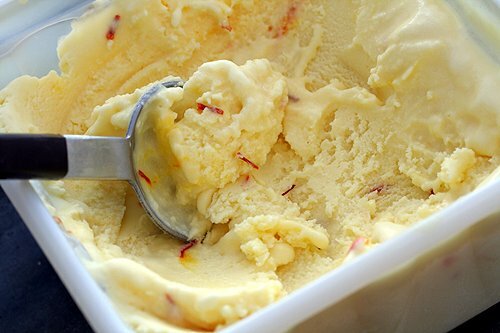 I’m hooked, and I can’t wait to try the coconut saffron ice cream, as it looks amazingly creamy and artery clogging *enough*, just the way I like it ;D Besides, I’ve got a load of saffron I haven’t quite taken advantage of *slapping self on hand*. Thanks for providing the world wide web with such a great blog! So if I have this straight: Lorna Luft is to Rufus Wainwright as Nicky’s coconut ice cream is to… other ice creams? Was that analogy on the S.A.T.? In any case, the ice cream sounds delicious. You’ve got it good, David, eating sweets for a living and going to fabulous concerts! Delicious! 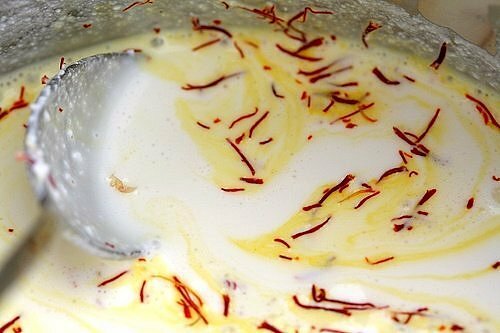 Your photo of the saffron merging with the cream is too gorgeous. I happened to buy some coconut sugar this weekend at an Asian market. I wasn’t quite sure what to do with it, so I threw it into a yummy veggie curry dish. It added the perfect pitch of sweetness to the meal. Thanks for giving me another reason to pull it out of the cabinet! The only word I can think of is, lucious. I have every ingredient in my kitchen, I’d better get cooking! The saffron threads throughout are so pretty! What a beautiful ice cream. 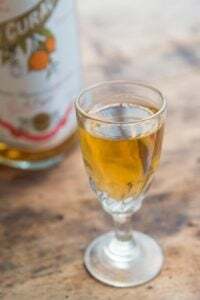 I love the peche melba coup. The ice cream is lovely. Mmmm..this looks so good. Is this unsweetened coconut milk that’s used? Do you have a brand you prefer that’s obtainable in the states? Susan: Yes, it’s unsweetened coconut milk. If It has sweetener it in, like Coco Lopez, it’s usually called ‘cream’ of coconut. I usually buy a few cans at a time since it keeps well. Do try this ice cream-it’s great! I think I’ll try this with the wonderful Sardinian saffron I have …. that’s something else I ought to bring you from Italy (was it chick pea flour the other thing?). Will be in Paris next month if you’re around…. 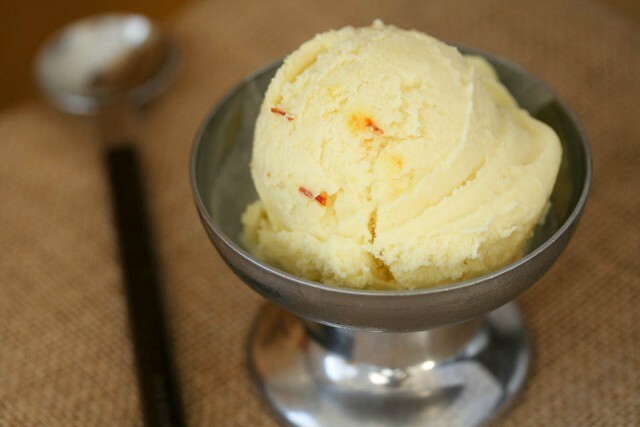 Wow, major coincidence… i just made Saffron ice cream from Perfect Scoop last night. Holy BUCKETS is it good. 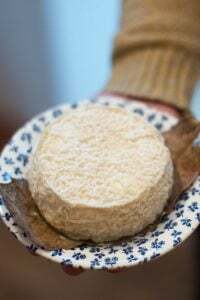 Very creamy and perfectly saffroney. Did you win a Beard award for that book? You should have – every recipe in there is spot on. ahh…i didn’t know you’re a psychic, as well. i’ve been wondering the past few days if you have any ice cream recipe that uses coconut milk. then boom! you post this easy, wonderful recipe. i can’t wait to try it this weekend! palm sugar and coconut milk really go together well, often used in a delightful malaysian dessert called ‘cendol’ — shaved ice, coconut milk, palm sugar, and bits of ‘cendol’ (short starch noodles with pandan leaf extract). 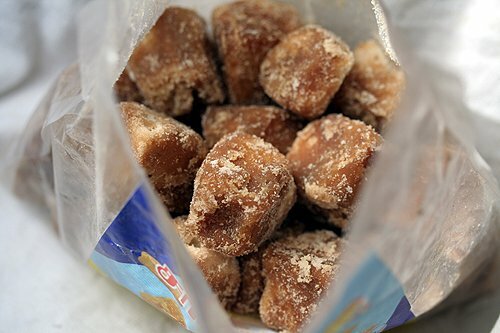 in malaysia, palm sugar is called ‘gula melaka’. Oh David. I made this, and it didn’t come out quite right. 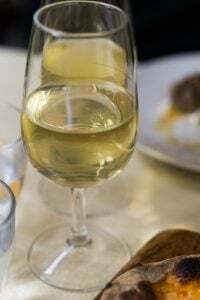 I think the palm sugar would definitely add some complexity to it–I used regular white, and the result was tasty, but sort of flat, and overwhelmingly rich. It also froze in record time, which I wasn’t expecting. I’ll be sure to make it again, using the brand of coconut milk you recommend, and the palm sugar! The photos are gorgeous, and I really do like the sound of this, so am excited to keep experimenting! I hate to ask this (because, so far, I seem to be asking silly questions on your blog), but what is “heavy cream”? I live in Australia, and we have “cream” (the same as one would pour onto strawberries), and “thickened cream” (which I believe has gelatine in it), readily available. I’m guessing that I’d need just normal cream for making ice cream, but I wanted to be sure before I dove into making ice cream for the first time and had it come out catastrophically. Hi Alex: In most places, heavy cream is around 35% fat, but for this recipe, any cream that falls within 30-40% should work. In Australia, I believe you have ultra-rich cream, with nearly twice the fat, which would (in my opinion) be too rich in this ice cream. Aah David, thank you so much! Your timing couldn’t’ve been better, I’m about to go to the store. I just checked the “normal” cream we had in the fridge (the kind that comes in cartons and that we use in coffee because there’s no such thing as half-and-half here) and it’s 35% milk fat, so that’s perfect. Anyway, thank you again. I’ll let you know how it goes, just in case any other Australians ask the same question. Would it work with 18% coffee cream if I wanted to make a version with lower fat? Just wanted to comment that I made this ice cream (it was the first one I tried in my new machine) and it was delicious! Thanks for posting the recipe. So yummy! I served this at a birthday dinner with a Coconut Birthday Cake. I must admit, I went a bit overboard with the Saffron, the color was spectacular! I also added some shredded coconut towards the end of the mixing in the ice cream maker. It added a lot of flavor and texture. This was a big hit!!! I printed out the recipe and put it on the page in my book where I got the coconut cake recipe from. I will make again! I’m really hoping it’ll turn out alright now!!! i didnt have palm so i used brown sugar and let me tell you, this was the most heavenly thing ive put in my mouth in a long time. I didn’t have ANY of the ingredients for this but still I went ahead and made it!! I used thickened cream (it’s all I had), coconut cream because I didn’t have any coconut milk and brown sugar (didn’t have palm sugar). I didn’t have any saffron. And it was absolutely divine. So for any fellow Australians I can assure you that thickened cream works perfectly in ice cream recipes. I’m working my way through all your ice cream recipes and my boyfriend is loving it!! I worked this one up this evening in a desperate attempt to get something sweet and cool and best of all, quick. I added a bit of chopped crystallized ginger to the ice cream as it churned. Delicious! 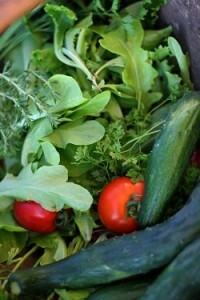 Thanks so much, David, for fabulous cookbooks and even better inspiration through your blog. 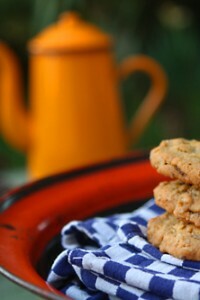 What do you think of using dark muscovado sugar in this recipe? Beth: Yes, you could try it. 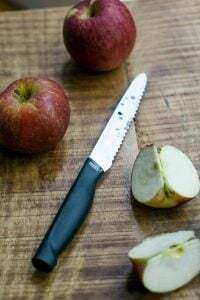 It would likely darken it a bit and if the muscovado is flavorful, it would change the flavor. If you do use it, please let us know how it works out. Two days ago I made this for a dinner party with friends, it was such a success (and so easy to make), everyone loved it! I was actually drooling over the photos for quite a while before making it but up until couple of months ago there wasn’t any coconut milk available here in Sarajevo. I made it and I am eating it right now. SO AMAZING THAT ITS DELICIOUSNESS IS UNREAL. Now I have to get back to my ice cream. I just found out I’m allergic to dairy. Ice-cream making is a thing in my family, so I’m now trying to perfect a dairy-free coconut milk ice cream. My first attempt was delicious when it first came out of the ic maker, but froze rock hard in the freezer. My second attempt will be tonight, using some of your tips for softer ice cream. Any chance you’ve successfully made a diary-free ice cream? Hi Sara: No I haven’t. But check out my post on how to keep homemade ice cream softer, which offers some advice. This saffron ice cream is of the gods of all faiths. I had chosen another recipe, feeling it was too much of a risk to take for a big dinner party. But the other recipe had nothing to remember. I added saffron and hope that there is some left for the party, as I can’t seem to stop making sure that it is still sublime. I am serving it in orange almond wafer cups. Thank you so much for passing it on. David, when you say “white sugar’, do you mean plain old regular white sugar? And is unrefined cane sugar that light brown type of sugar with the slightly bigger crystals? Will it make a big difference what kind you use? Marie: Yes, white sugar is white granulated sugar. Here’s an example of one of the unrefined cane sugars that’s possible to use, for a slightly deeper flavor. Thank you! Tried it yesterday with regular white sugar – m m m! Left out the saffron though.. That will be for next time. 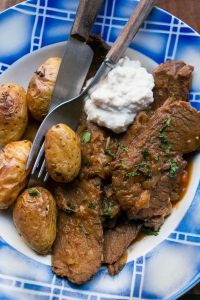 I really love your blog and check it on a regular basis for your fab recipes! I was wondering if it is possible to use light coconut milk rather than regular coconut milk? I’m afraid the grocery store here does not stock their ethnic food aisle as frequently as say a store like Trader Joe’s (which only has light coconut milk). Would love some input from you! Thanks! Kate: I’m not sure, since I followed the original recipe fairly closely. You could send a message to them over at delicious:days and see what they say. Sandra Y: In my experience, when people swap out lower fat ingredients in ice cream making, they’re not happy with the results. So although “lite” coconut milk would likely work, it will be icier and not as smooth and creamy. Love your site David & have been inspired by your recipes since I got an icecream maker. Made this last night for a casual dinner party swapping out the cream for more coconut milk b/c I’m lactose intolerant (I know…non milk eater with an icecream machine…and yet…how can we resist)….The verdict: delicious & soooo creamy although maybe without the heavy cream one should reduce the sugar (which I did, and found it sweet enough). I was thinking I would love to taste more of the coconut flavour…maybe the addition of an extract….and I also thought a hot chili might be an interesting combo…. But perhaps too overpowering for the saffron?